The upper bed is in between a single and a double size the lower bed is double. I'm sure it's a simple fix. Cushions, throws etc not included. small wooden folding table. 4x plastic plates, bowls and small plates. JUST HAD 4 NEW TYRES, JUST BEEN SERVICED FULLY SYNTH OIL AND ALL FILTERS DONE, THIS MODEL HAS A TIMING CHAIN SO NO BELT TO WORRY ABOUT. 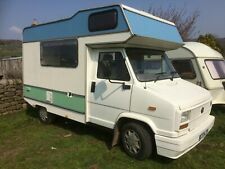 Fiat Ducato LWB 2.3 multijet Campervan conversion. 1x single bed. Low mileage 29.000. 6 speed gearbox. Laminate flooring. LED lights. Central locking. Parking sensors. 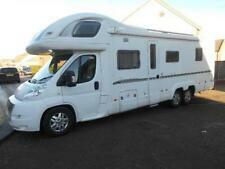 2007 FIAT DUCATO 3 BERTH LEFT HAND DRIVE 31000 MILES WITH SERVICE HISTORY LONG MOT. FIXED DOUBLE BED, ONE SINGLE BED ,LARGE SHOWER ,TOILET / HAND BASIN ,FRIDGE GAS HOB . CENTRAL HEATING ,FLAT SCREEN TV. 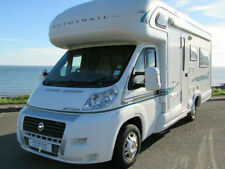 2009 FIAT DUCATO MOOVEO P600 3 BERTH IN EXCELLENT CONDITION ONLY DONE 29000 MILES,AIR CONDITION. 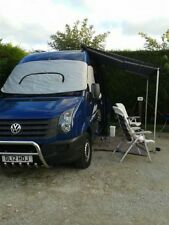 REVERSING SENSOR`S ,OVEN AND HOB ,FRIDGE ,TV CD/RADIO ,CENTRAL HEATING ,FIXED DOUBLE BED . LARGE BATHROOM WITH GOOD SIZE SHOWER, PLENTY OF CUBOARD SPACE INCLUDING GARAGE SPACE ACCESSIBLE FROM BOTH SIDE`S. 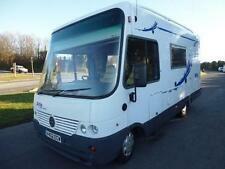 ADRIA 680 CORAL SP 680 2004 REG 3 BERTH. All bills for work done are included with instruction manuals where necessary. 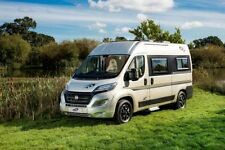 The Adria is a popular make of van and the Ducato known for it’s reliability. FIAMMA DOOR SECURITY ‘D LOCK’.